I first shared this recipe on I am Baker where I am a contributor. 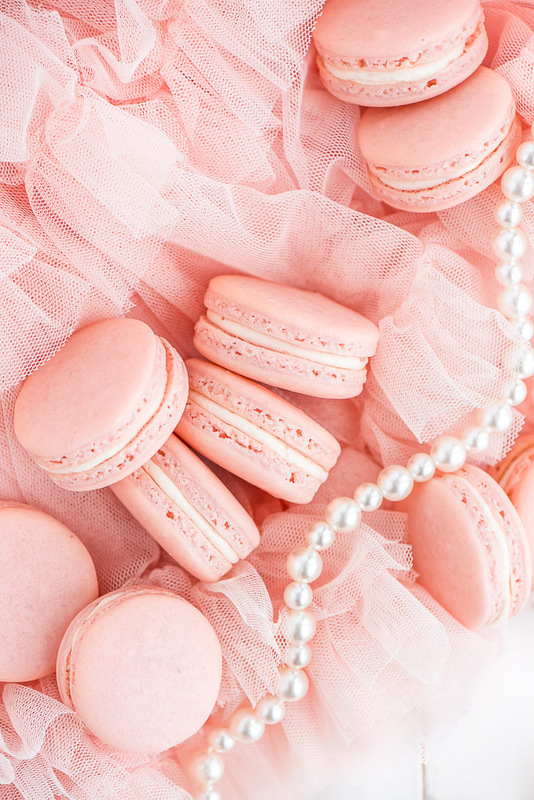 Macarons can be a tricky cookie to master but with this recipe and my countless tips, you’ll making be making these elegant treats like a pro in no time. PIN IT TO YOUR DESSERT RECIPES BOARD TO SAVE IT! 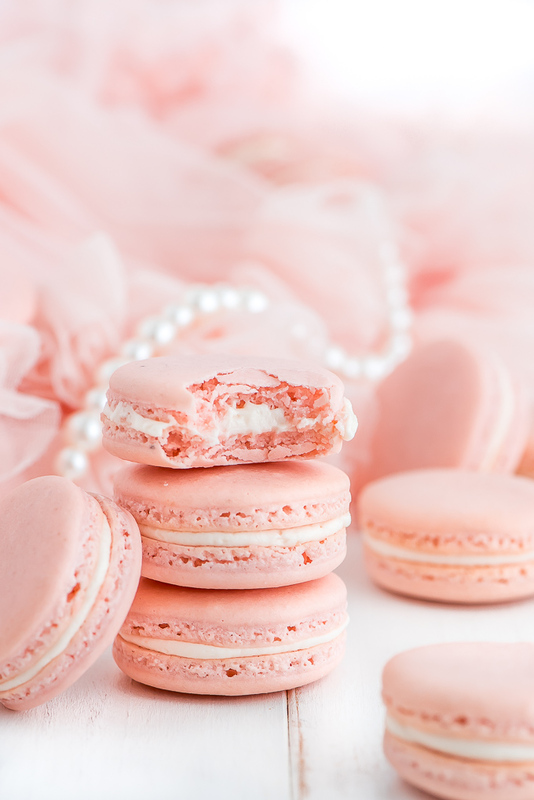 Since I’m sharing these lovely, pretty, perfectly pink French Macarons with you today, I thought I’d go ahead and share some exciting news to go with it. If you haven’t noticed, I’ve been MIA on some of my social media channels and have hardly added any new recipes to the blog. This year has been busy and stressful for me because we were house hunting for our very first house in a state we’ve never been to or lived in, my husband was finishing his medical intern year, we moved across the country, AND I’m pregnant! Yep, with baby number 3 and if you couldn’t tell from all the pink cookies, IT’S A GIRL! We’re thrilled to be adding a third little girl to our family and can’t wait for her to get here this early December (hopefully November!). So yeah, nausea, exhaustion, house hunting, packing, unpacking, remodeling projects, and a husband not around is all a big blog killer. Now that we’re almost all settled in our new home I’m hoping to get back in the kitchen more. 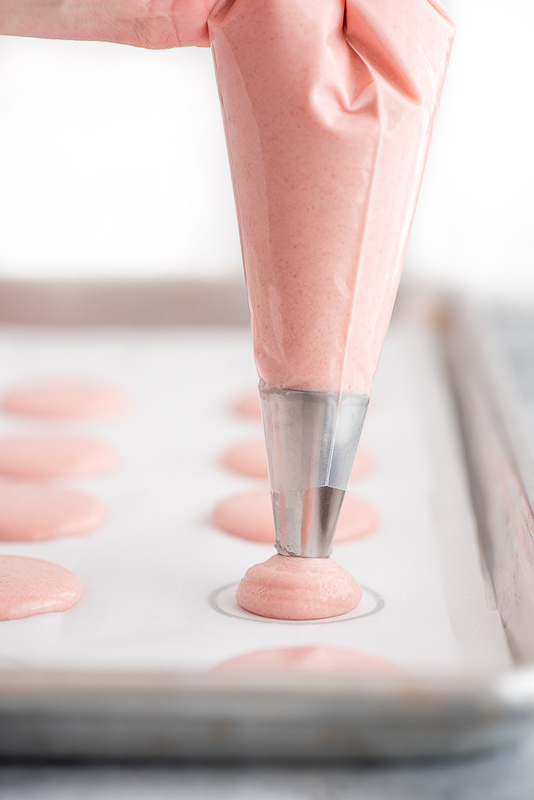 There are a couple ways to make macarons but the French method is a little easier for the average baker. 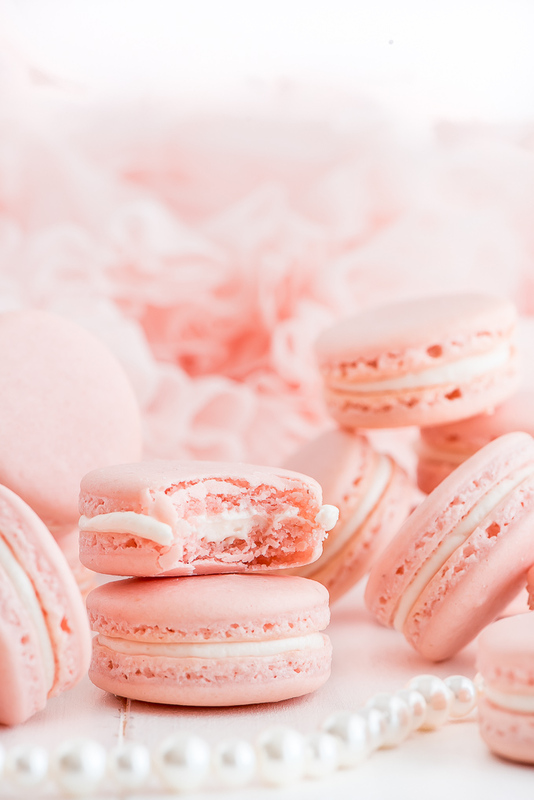 Macarons are know for their signature smooth crisp top, chewy inside texture, those ruffly edges called “feet”, and the scrumptious filling mushed in between two cookies. Creating these cooking is a science and unfortunately we’re not all baking in the same kitchen with the same exact ingredients, temperature, humidity, oven temperature… Even making these cookies in the same kitchen but at different times of the year can alter results which is why some consider these cookies to be quite the headache to make. Here are some tips to help you be successful. Beat the egg whites and sugar just until they read stiff peaks. If you over beat it will start to separate. If adding color or extract you need to add it at the soft peak stage so that it can mix all the way in before you reach stiff peak stage. Line your baking sheet with parchment paper and place templets underneath. 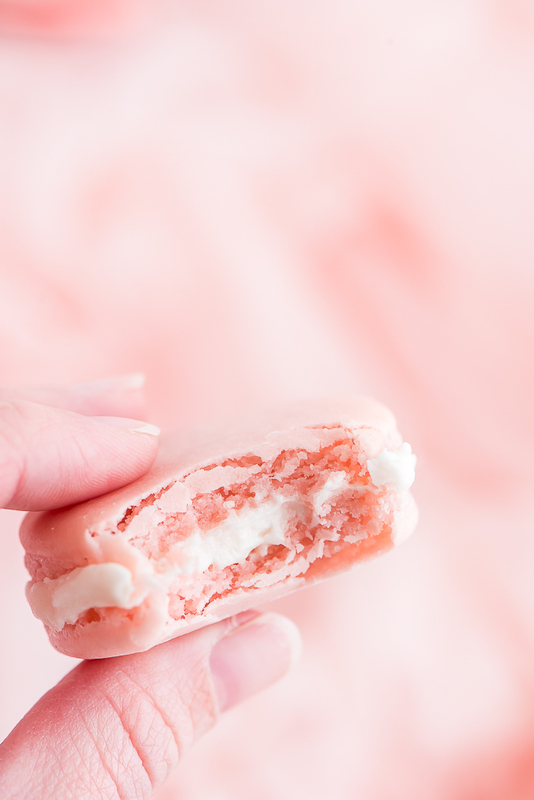 This will help you get create uniform sized macarons for sandwiching together. 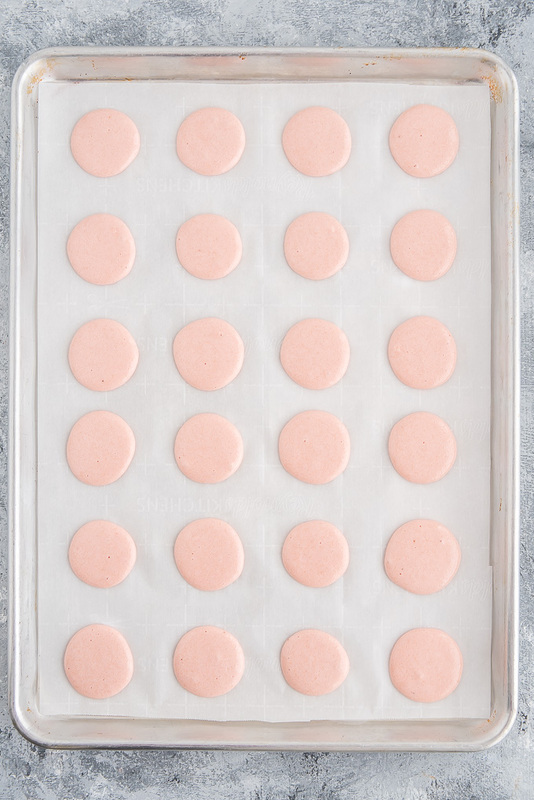 Bake the macarons for 20 minutes and then let them cool on the pan 5 minutes before sliding the parchment onto a cooling rack. If you don’t bake your macarons long enough they will collapse and look wrinkly and be a little difficult to get off the parchment paper. These cookies will definitely wow your family friends and guests. Serve them at your next special occasion or celebration! Piping Tips and Bags– This is a great starter. For the macarons I use the 2A piping tip. These bags are disposable but I actually wash and reuse mine. Parchment Paper– Unfortunately this is not optional for macarons. You need to use Parchment paper. This makes it easy to remove the cookies when they’re done but also allows you to place a templet under the paper to make uniform sized macarons. 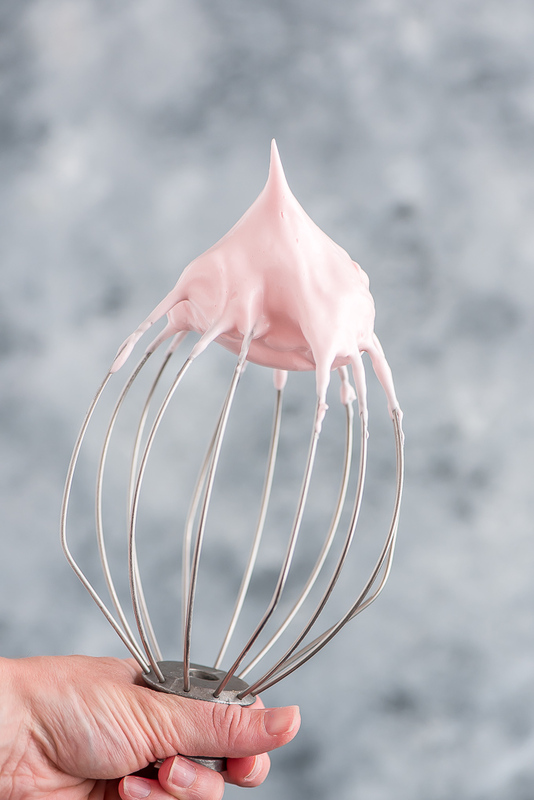 In the bowl of an electric mixer with the whisk attachment, best the egg whites on medium until foamy. Add in the cream of tartar and salt. Continue beating and add in about 1 tablespoon sugar at a time. Increase speed to med-high and mix until soft peaks. At this point you can add the vanilla and food coloring. 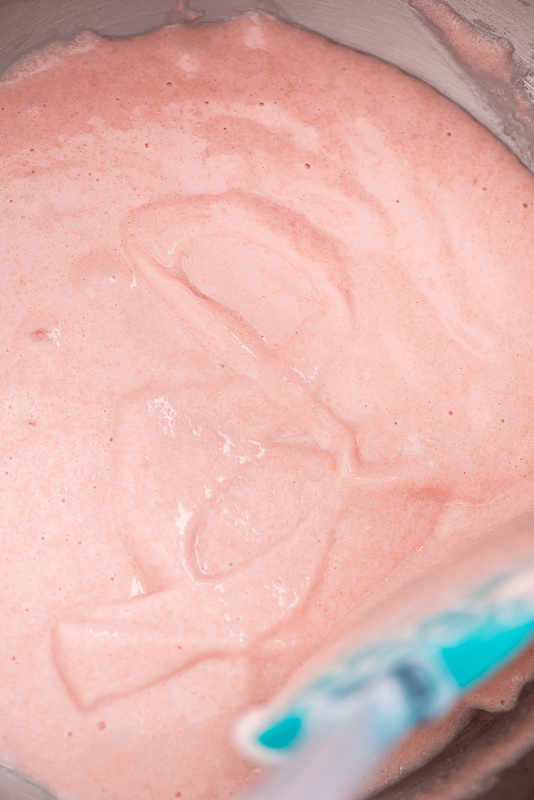 Continue mixing until stiff peaks. Remove the bowl from the machine. Sift the almond flour and powdered sugar again but into the bowl of the meringue. Using a rubber scrapper, gently fold the ingredients together by scraping the sides and bottom, folding the meringue up onto the dry ingredients and pressing down. The batter will thin up as you mix. You are done one you are able to have the batter slowly drop back in the bowl making a figure 8. The batter will drop like molten lava and will dissolve back into the batter within ten seconds. About 10 minutes before drying time is up, preheat the oven to 300 degrees F. Bake for 20 minutes on the middle rack and then remove from and let cool on the pan for 5 minutes sand then slide the parchment paper onto a cooling rack. Fill once completely cooled.